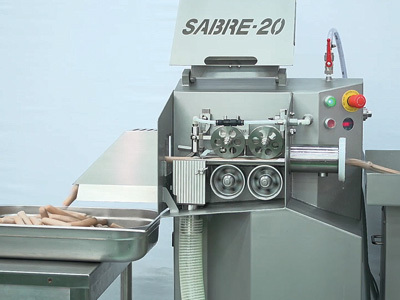 The new HITEC " SABRE-20" sausage peeling machine offers solutions for many common peeling problems. 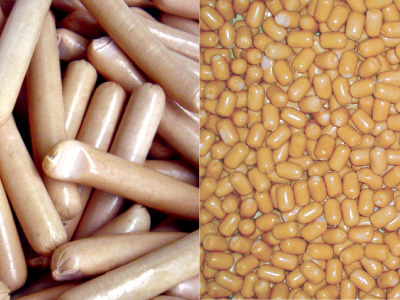 It is possible to peel sausage products of cellulose casing from 13 mm to 36 mm. The minimum length of product is 20 mm. So it can handle a wide range from cocktail sausages through long jumbo length products.. 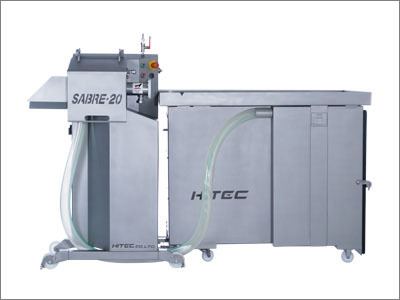 The SABRE-20 is designed with angled surfaces to eliminate any standing water. 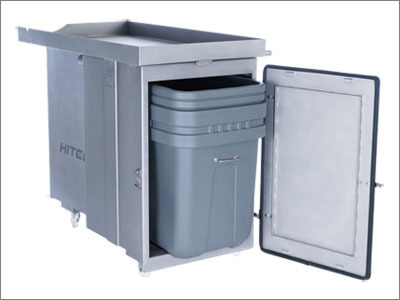 This design helps keep a sanitary environment. 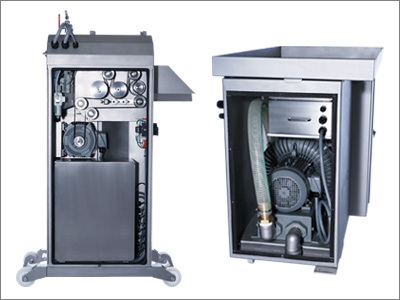 A large opening at the back of the machine, which is about 90% of the backside area, is very helpful for easy access and maintenance.Replacing a blower is also easy. It's very easy to change over to a different size product. 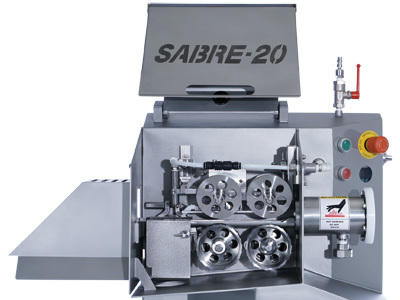 The SABRE-20 allows even inexperienced operators to easily change parts and make parts adjustment. The maximum speed is 300 meters a minute. Operators can adjust the peeling speed depending on the product sizes. Peeled casings are delivered to the dust box in the vacuum tank. 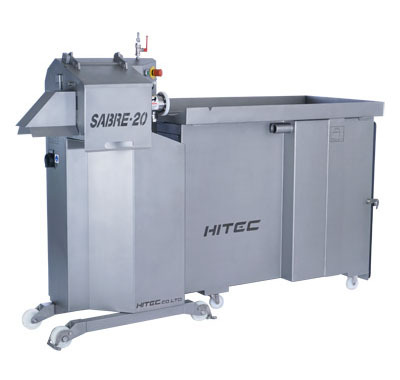 For customers who adopt central vacuuming system at their plants, we provide SABRE-20 without vacuum tank.